Description Size 38cm x 32cm (15" x 13"). 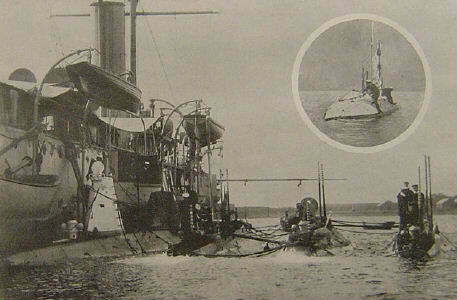 The submarine No.1A undergoing trials with her smaller sisters and her parent ship, H.M.S. Thames.